Cosmarium turpinii; focal plane on the center of the cell. 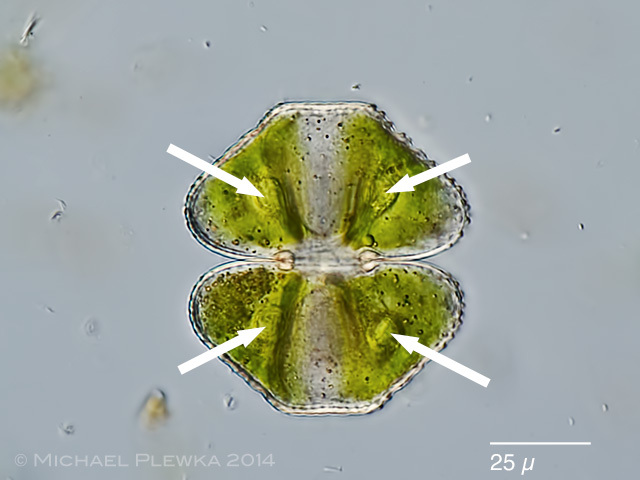 C. turpinii is a species with flattened apices and 4 conspicuous pyrenoids (arrrows). 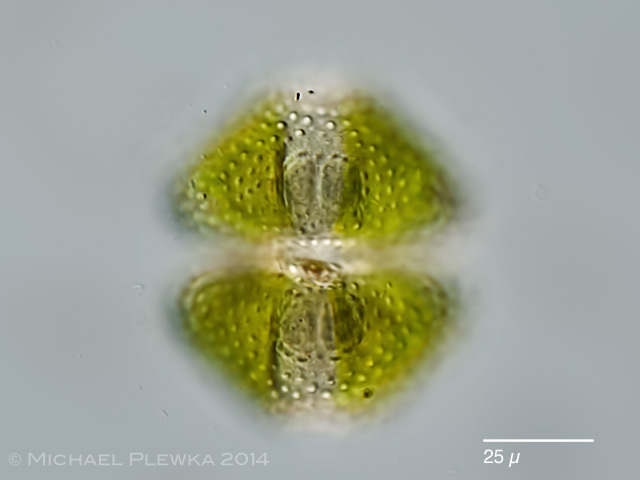 Cosmarium turpinii; focal plane on the cell surface.